We Will Meet Again... - A Rose Is A Rose Is A Rose! We Will Meet Again is the story of Paridhi, a mass media student in Delhi. Life for Paridhi is all about course assignments, lost pen drives and urgent submissions. Harried and running against an unexpected deadline, she bumps into Abhigyan, a young, good-looking, wealthy young man – every girl’s dream. This meeting however isn’t one bit romantic. She meets him again at her best friend’s wedding. While he is clearly falling for her she is rude and angry and rebuffs him all the way. However, Abhigyan is not one to give up easily. Can Paridhi really trust Abhigyan? Will a blissful breeze of love ever kiss her heart? 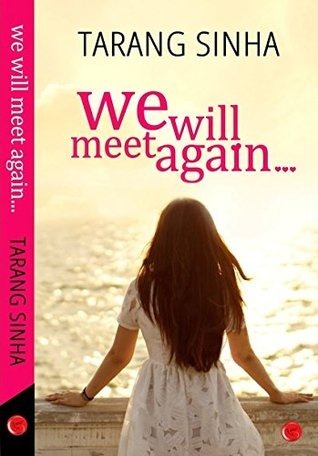 We Will Meet Again, is a realistic story with believable characters. Paridhi and Abhigyan start off on a wrong foot. As their paths meet again, Abhigyan finds himself falling in love with Paridhi, while Paridhi because of her past baggage stays distant and aloof. Abhigyan is accepted by her family but Paridhi finds it hard to trust him. Destiny binds them together but all is not well between them. I believe that if the characters and/or the story bring out a strong emotional response from me as a reader, the author has succeeded in her/his efforts. In this debut novel by Tarang, I found Paridhi a bit annoying. She was self-absorbed, stubborn and unlikable for most part of the book. Abhigyan on the other hand was smart, strong and attractive in his actions as he focused on caring for Paridhi and her family and I quite liked his character. I believe that a bit of conflict is needed in a story, but if in a romance one has to trudge through a lot of relationship angst until closer to the end, then it’s a bit of a dampener for me. I wonder, if it would have made a difference in the story if it was known why Abhigyan fell in love with Paridhi when she thwarted all his attempts to woo her. I loved the relationship Paridhi shared with her sister. The descriptions of her hostel life, room mates and her home in Kanpur are slice of real life. The writing in the book is simple and honest. The pace of the story is just right to keep the reader involved in the story. We Will Meet Again, is a light breezy ‘enemies’ to lovers story. Pick it up for it’s an enjoyable read. This book reminds me of Murdoch Mysteries, a Canadian tv show where the woman doesn’t seem to know what she’s got in the man. Thanks for the nice review. Will look for this book. I’ve read the book. I liked Abhigyan’s character however I also wondered what made him fall in love with Paridhi. Thank you, Shilpa for reading and reviewing my book. I’m sorry my female protagonist annoyed you, and that I, as an author, failed to bring out a strong emotional response. Thanks for this. I’m always on the hunt for a good realistic story. I have heard about this book. Looks like an interesting read. Thanks for the review, Shilpa.